There’s no doubt that football is one of the most popular sports in the world. And the casino players will be thrilled to play a slot game based on a Football World cup! 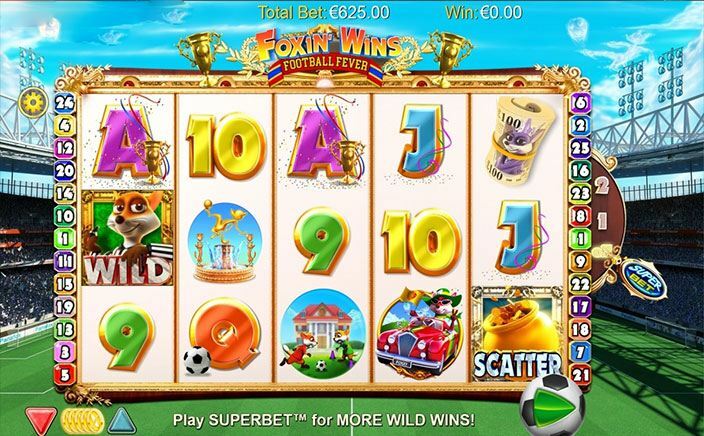 Foxin’ Wins Football Fever is 5 reels slot game with 25 paylines across the game featuring the 2018 World cup. Apart from the exciting football theme, the game features are sure going to catch your eye. There are free spins, free game features and SuperBet where you can score more wilds for high bets. NextGen’s Foxin’ is back with Foxin’ Wins Football Fever, and this time he’s celebrating the 2018 Football World cup with you! The slot game features show the fox pups as a wild symbol and these cute fox pups are ready to score more for you. The slots game is set on the football stadium with the reels displaying various game symbols. These symbols include the regular game cards 9, 10, J, Q, K and A. Apart from these, there are some special symbols based on the theme – foxes playing football, referee fox, fox in the convertible car as well as a way of fox cash and fox fountain. Referee fox is a wild, which replaces all the other symbols and 5 of these will score you 80 times a total stake. Foxin’ Wins Football Fever offers several game features – SuperBet, Random bonus, and free game features. SuperBet is basically to help you get more wilds and add to your win. At which level you play SuperBet decides your stake amount per spin. For level 1, the stake value is 35p and fox pup appears on middle 3 reels. For level 2 you have to give 50p minimum stake, but you get fox pups on all the reels. Basically, these fox pups turn symbols into wilds and enhance the chances of your winning. Next is the random bonus feature. This feature is triggered randomly after any spin. Look out for the fox funds and Leprechaun shakedown and get the chance to win some cash prize. The best of all is a Free game feature. This is triggered when you get 3 gold pot scatter on the reels and you win 10 free spins and your winning will be doubled. Retriggering this feature will get you 20 free spins. 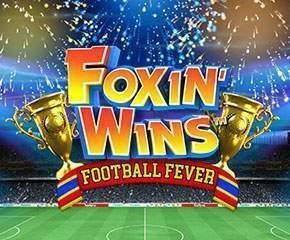 Foxin’ Wins Football Fever is a decent slot game with medium to high amount of winning every spin. It is a game football lover should not miss playing.